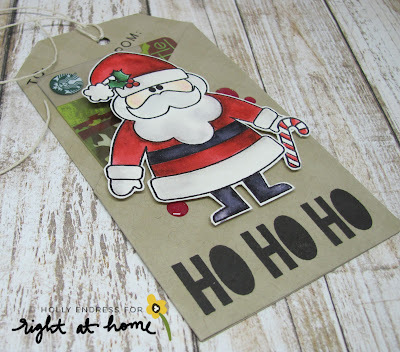 Happy Tuesday everyone.. Today I'm sharing a fun Gift Tag using products from Right at Home. All this week the Design Team are showcasing the cute new set Holly Jolly Christmas . I paired it up with the Folded Gift Tag Die set from Right at Home as well. I started by created the Tag from some Kraft card stock and then I stamped the Gingham Background stamp over the tag with some Kraft colors ink. It's kinda hard to see in the photo. 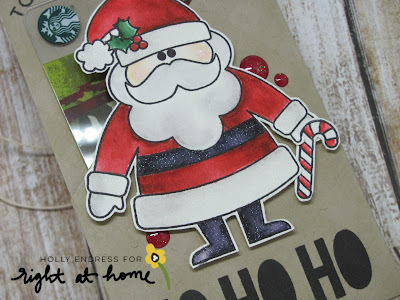 I stamped the Santa image and the candy Cane onto some Watercolor paper and colored them in with Zig Clean Color Real Brush markers. Once the image was dry I added a little of the Spectrum Noir Sparkle Pen in Clear. I cut the images out and adhered them to the tag with some dimensional adhesive. I stamped the sentiment along the bottom with some VersaFine Black ink and then I aded the To & From in the upper portion of the tag. For and extra pop of color I added some LadyBug Glitters enamel dots from Doodlebug. You can add a gift card or some cash. 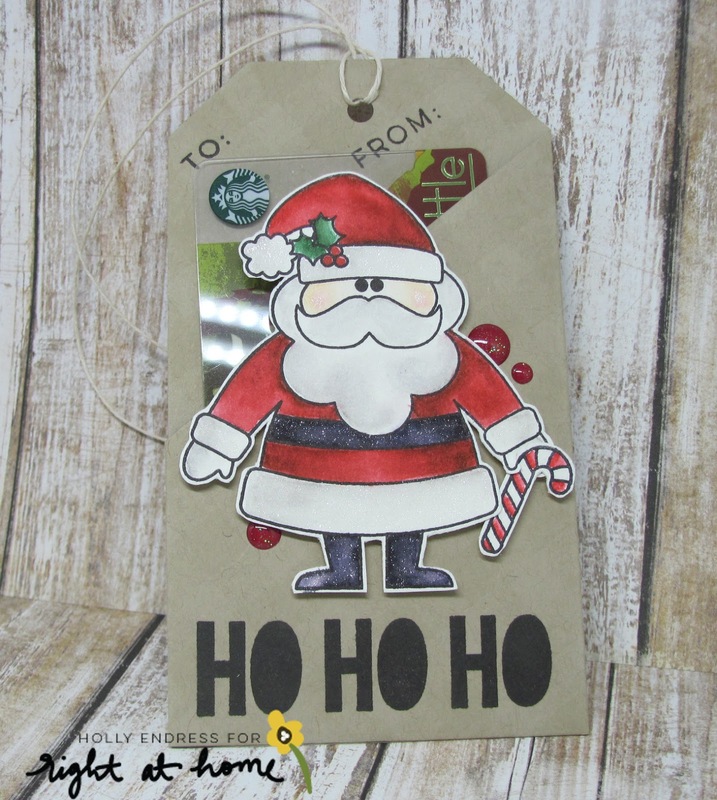 This is a great way to add a little extra to a package or just on it's own. Head over to the Right at Home Blog and Facebook page for lots of great inspiration using all the new products from Right at Home!